Apart from Salman and Katrina, the movie will also star Tabu and Disha Patani. Upcoming drama film Bharat starring actors Salman Khan and Katrina Kaif has generated a lot of interest, and to spice things up, producer Atul Agnihotri released a small clip from the movie to give us a sneak peek. Though it was a very short clip and did not show much, it still managed to get a good number of reactions from fans who said that they cannot wait for the movie to release. Atul had taken to his Twitter page to share the clip and he had captioned it simply as, “Countdown begins @bharat_thefilm #Teaser”. Bharat, which is directed by Ali Abbas Zafar and jointly produced by Atul Agnihotri, Alvira Khan Agnihotri, Bhushan Kumar, Krishan Kumar, Nikhil Namit and Salman Khan, also stars Tabu and Disha Patani. Ali Abbas Zafar had also tweeted about the last shooting schedule of the movie. The songs for the movie will be composed by Vishal-Shekhar and the lyrics will be by Irshad Kamil. 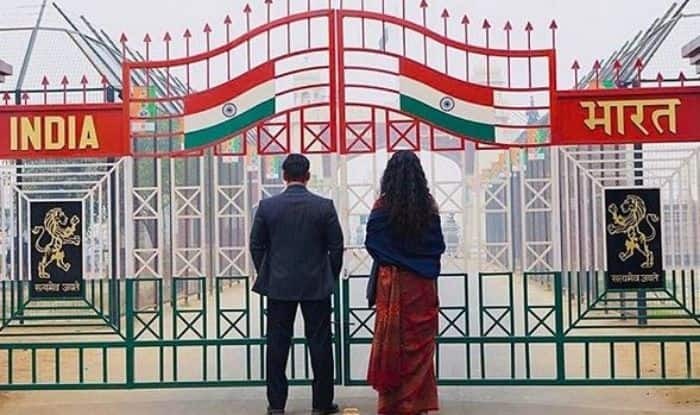 Bharat is set for release during Eid on June 5, 2019.